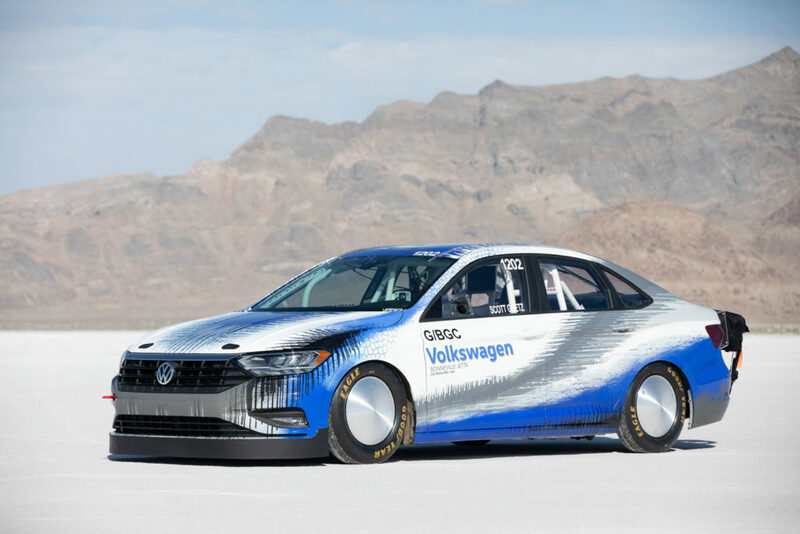 Volkswagen’s 2019 Bonneville Jetta has recorded a track speed of 338.15km/h at the Bonneville Salt Flats, near Wendover, Nevada, at the Utah Salt Flats Racing Association’s (USFRA) World of Speed event. In the course of the run, the car broke the Southern California Timing Association’s (SCTA) Blown Gas Coupe (G/BGC) class record of 334km/h. “This record underlines the sporty credentials of our all-new Jetta and also gives a hint at the future of the GLI model, since this car uses a modified version of the GLI’s powerful EA888, 2.0-liter TSI engine,” said Hinrich J. Woebcken, president and CEO, Volkswagen Group of America. Built by Bonneville preparation specialists THR Manufacturing, based in Ventura, California, the Bonneville Jetta’s run showcased both the potential performance that the EA888 engine can achieve with modifications, and the Jetta’s aerodynamic shape, which yields a drag coefficient of just 0.27. The 2.0-liter direct-injection and turbocharged engine in the Bonneville Jetta was modified for high output with new connecting rods, pistons, valves, camshafts, turbocharger and exhaust system, but the basic block and crankshaft are stock. On the dyno, the engine achieved an output of 600bhp at 8500rpm. To run at high speed on the salt, the Bonneville Jetta had many other changes from stock. 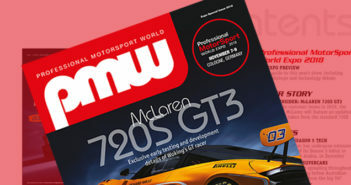 The suspension was lowered, special wheels and tires were fitted, and a limited-slip differential was added to aid traction. The interior was stripped and outfitted with full track safety equipment—such as a roll cage, racing seat and harness—and a fire suppression system. To help slow the car down, the Bonneville Jetta was fitted with a pair of parachutes. Veteran Salt Flats racer Scott Goetz, who drove the Bonneville Jetta, said, “It was a terrific experience to drive this car on the salt. The car inspired a lot of confidence at very high speeds. I have no doubt that we could go even faster by running some more boost, but we are very happy to have the record, knowing that there is more to come in the car if we need it.